Some TrulyRichClub Members Already Earn P10,000 to P20,000 Every Month! 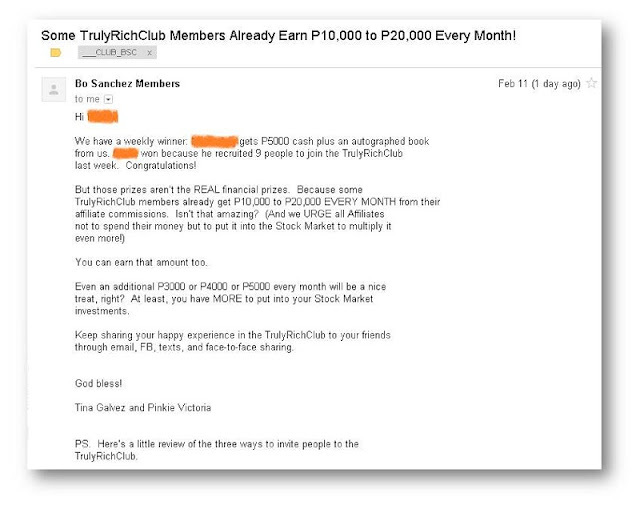 Just yesterday, I received an email from admin of The Truly Rich Club saying that "Some TrulyRichClub Members Already Earn P10,000 to P20,000 Every Month!" Wow! It really amazed me. I haven't reached that level yet, but I think that is very doable. In the beginning of this year 2013, The TrulyRichClub started a Super Affiliate contest. You will notice that from the image below. This two-month contest is still running up to now, it started last January and will end last day of February. That will be prior the Truly Rich Club Wealth Summit that will happen on March 1-3 in PICC. As you may noticed, weekly winner got P5000 cash plus autographed book from TRC. You can also read the mechanics below. 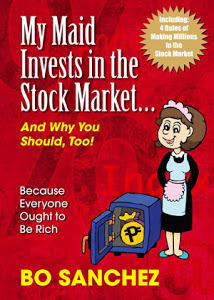 We have a weekly winner: ********** gets P5000 cash plus an autographed bookfrom us. ******* won because he recruited 9 people to join the TrulyRichClublast week. Congratulations! You can earn that amount too. Even an additional P3000 or P4000 or P5000 every month will be a nicetreat, right? At least, you have MORE to put into your Stock Marketinvestments. Keep sharing your happy experience in the TrulyRichClub to your friendsthrough email, FB, texts, and face-to-face sharing. Win Cool Prizes And Help Lots of People At The Same Time! This is Tina Galvez and Pinkie Victoria. We’re Bo’s sisters, helping him manage the TrulyRichClub. We used to annoy Bo when he was small, ordering him around and telling him what to do. Now, he’s our boss and he tells us what to do. Such is life. Kidding aside, we’re really happy serving you. Bo instructed us to create a Super Affiliate Contest, to help you earn more monthly commissions. So here it is: On January 1, we’re launching the “I’m a Super Affiliate ” contest. Do you want to win some really cool prizes, have big FUN, and help LOTS OF PEOPLE at the same time? 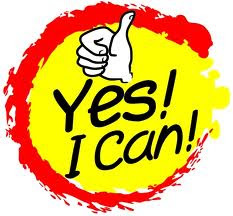 Here’s how: Recruit as many people as you can to the TrulyRichClub and help them change their financial life. Not only will you earn the regular 20% commission (Yes, you get 20% commission from every person’smembership fees every single month as long as he stays a member), you’ll also receive other fantastic prizes! There are two categories of prizes: “Super Affiliate Prizes” and “Every body Wins Prizes”. NOTE: You can only be a Weekly Winner once (to give others a chance to win too); After which, you’ll be vying for the Monthly Winner; You can only be a Monthly Winner once, after which, you’ll be vying for the Contest Winner. Recruit 10 new club members—you get an autographed copy of Bo’s newest book for 2013. Remember What You’ll Get AFTER The Contest! The prizes you see above are just to make things exciting. But the biggest financial prize is really the monthly commission you’ll be getting during the Contest and AFTER the Contest. If you want to Join the Contest, IT'S NOT TOO LATE, you can still join.